Scrap recycling company, United Metals, is being urged to scrap its sponsorship of cruel coursing. According to a coursing website, United Metals was one of the sponsors of this month's Nenagh hare coursing meeting. In an email to the Limerick-based company, ICABS highlighted the suffering of hares that are snatched from the wild and used as live bait for greyhounds to chase. 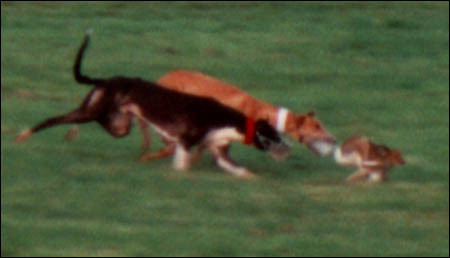 Join us in urging United Metals to scrap its hare coursing sponsorship.